A family living along Khalsa Road, Nasinu, were roused from their sleep early yesterday when a runaway Nasese bus crashed into their com­pound. Ani Prakash, who is originally from Labasa, and his family of three were awoken by a loud sound when the bus crashed into a lamp post before entering their com­pound. The incident happened about 1.30am. Mr Prakash’s daughter, Gaitri, said when the bus hit the lamp post it made a loud sound and shook their house, waking them up. “We were sleeping when we heard a loud sound and at the same time our house shook. We then went out to see what happened,” she said. Nasese Bus Co Ltd Director Jack Kumar said, “The driver parked the bus along the road side and went away. He confirmed the matter was reported to Police. 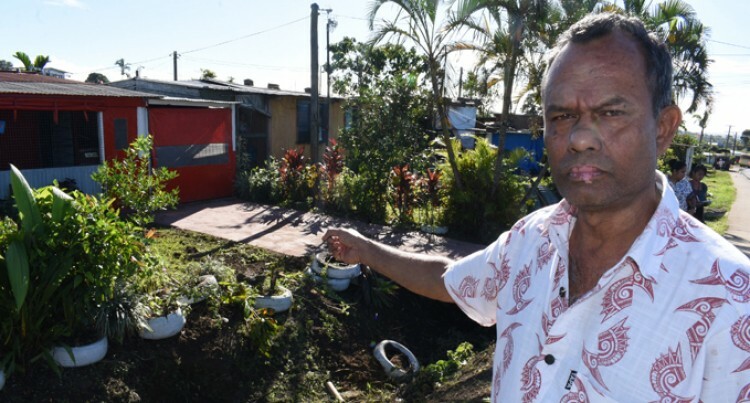 Police spokesperson Ana Naisoro confirmed an inves­tigation was underway after a bus parked by the driver rolled into a nearby compound. No one was injured.